Ever since they appeared in ancient Egypt, obelisks have possessed a power as structures. 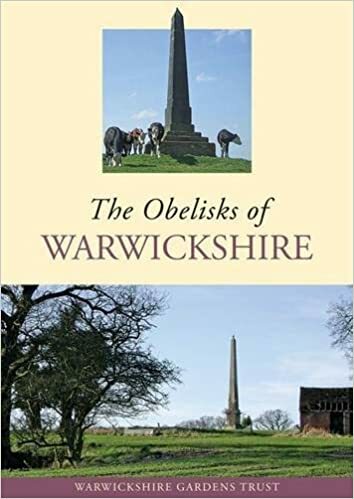 The Obelisks of Warwickshire is a guidebook to 20 notable examples, together with many others in the county, Birmingham and Coventry. Maps and directions will help you to find them. Obelisks have held different meanings for people down the ages. Whether esoteric ornaments in Elizabethan gardens, monuments in the landscape, tributes to sacrifice in war or memorials to worthy lives, they all have fascinating stories. From its unusual standpoint this well-researched, well-illustrated book illuminates episodes in the history of Warwickshire and the wider world. Price: £9.50 by order form here. Also available at amazon.